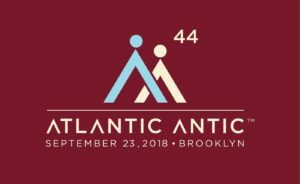 The 44th annual Atlantic Antic will be this Sunday, September 23 from noon to 6:00 p.m., rain or shine, on Atlantic Avenue between Hicks Street and 4th Avenue. There will be live and DJ’d music, food, vendors, activities for kids, and special deals from merchants along Atlantic. More information here.